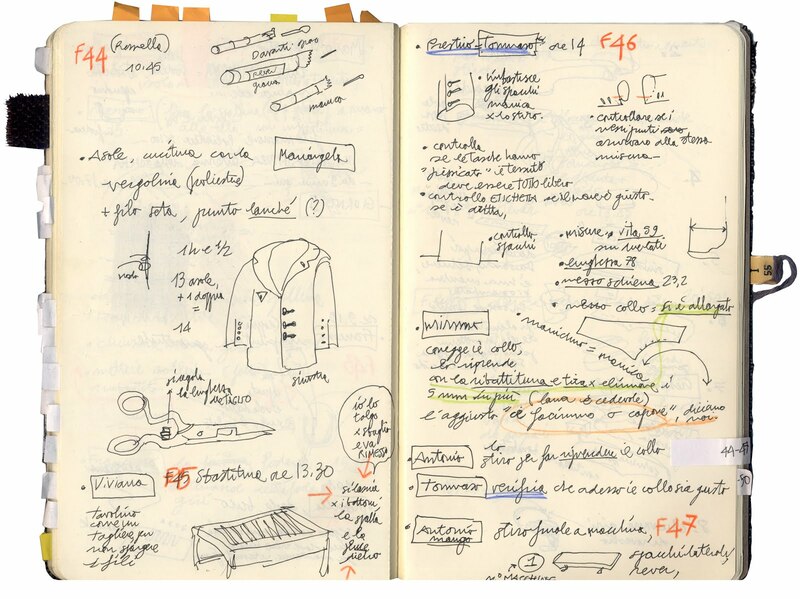 In 2015 I spent a lots of time observing and sketching in a tailoring lab in my own town: Cesare Attolini's family has been a renowned bespoke tailor for men's fashion since the Thirties. famous for having created the first "deconstructed" jacket, soft and comfortable, to be worn as second skin. When I met them, they were on newspapers for having made costumes in Paolo Sorrentino's movies as the oscar awarded The Great Beauty, where the elegant Jep/Toni Servillo wears a bright red jacket, or as Michael Caine's clothes in Youth. 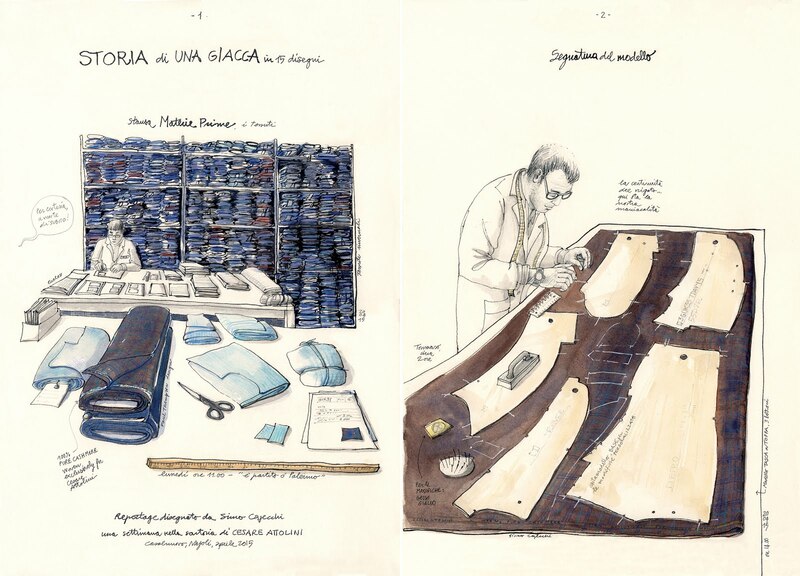 Cesare's sons, Giuseppe and Massimiliano, commissioned me a reportage to be done inside their Casalnuovo tailor's workshop in the outskirts of Naples. 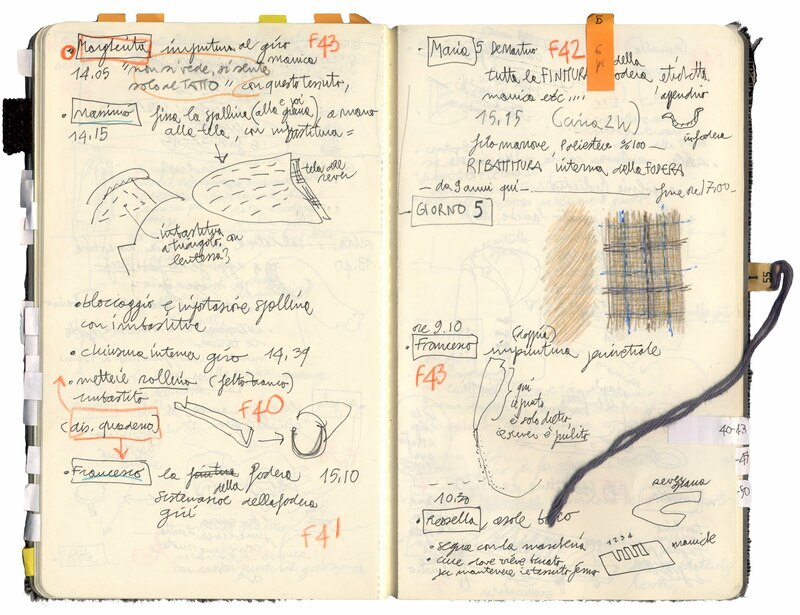 Their smart idea was to document a process done mostly by hand by another hand made process: drawing. I realized I could not simply draw what I saw in front of me, as I normally do, if I didn't understand what was going on. I made a tour of the lab guided by their most experienced tailor. It took me three full days and made me fill an entire sketchbook of notes and drafts. I could not imagine how complicate this work happened to be. I focused on jackets only, the most elaborate piece in men's clothing. 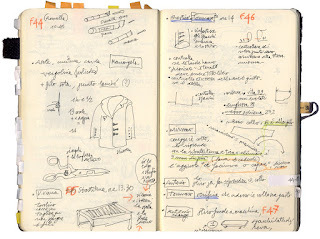 The making of a jacket has been divided by Attolini in 50 main steps, and 150 micro steps! My assignment was to illustrate it in no more than 15 drawings. But how to choose the meaningful steps? Observing artisans and their hands at work is really fascinating. But to portrait someone from a short distance can also been a problem: tailors wanted to check their portrait constantly. I was especially afraid of Cesare Attolini himself - who can spot a millimeter defect in a jacket from a distance - when he tried to recognize all his employees in my drawings! I asked to follow a single jacket making of, from the beginning - the fabric's cut - to the end. 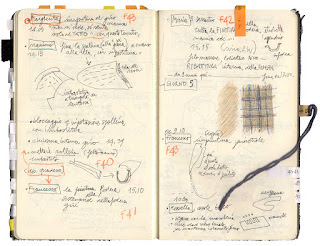 During 5 days I followed the factory's timetable, drawing constantly to keep up tailors' speed. After 3.5 meters of pure cashmere were cut, 60 different tailors worked on it in 50 main steps, along 30 hours of work in total. Today, just before writing this post, I was introduced to a small tailoring lab just nearby my house - they started 50 years ago - and I was invited for a short visit. In their workshop there are 2 tailors and one single person does all the steps. They told me the required time for a jacket is the same as at Attolini: 30 hours of work. They also complained how nowadays is difficult to find an apprentice so the neapolitan tradition of bespoke clothes risks disappearing. With a large number of employees (150 tailors) and the modern factory look of their new workshop, the Attolini's do not aim to increase or speed up production nor to simplify any step. An industrial assembly line is here applied to an artisanal process, keeping it mostly handmade, while each step is carried on by a different tailor. In this way they try to preserve and spread neapolitan handmade clothes tradition. 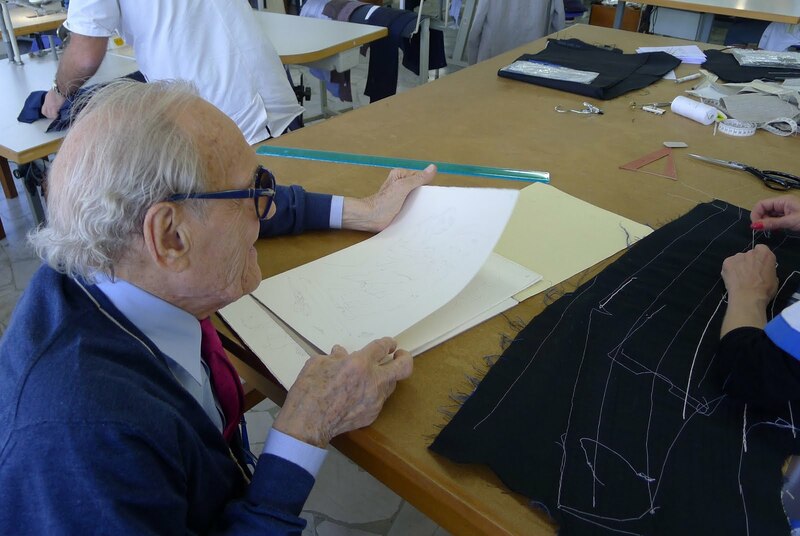 Tailors quoted master Cesare Attolini when he says "a jacket has to be beautiful outside but also inside" and, despite their hard job, they seemed proud to work in a place where quality is very important: "we are perfectionists!". All my drawings and notes could become a small book, as a gift for clients. And the 15 steps could decorate fitting rooms in the many showrooms Attolini opened around the world. It would connect clients to the long and careful making of the suit they are buying. Hopefully they'll do it someday! A jacket's making of in 15 steps. Ink and watercolor on paper, 25x36 cm each.